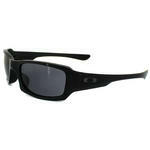 Through continued investment in technological innovation, Oakley has created some of the best engineered sunglasses in the world. 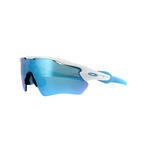 Oakley began 35 years ago and originally specialised in the production of motocross and BMX goggles and grips. 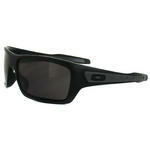 After successfully discovering a unique grip material for motorbike handles, Oakley applied this technology to the arms of sunglasses. 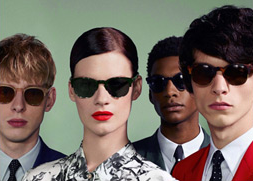 This pioneering approach, created sunglasses that give you the perfect fit. In order to meet the requirements of the world's top athletes, performance is always a priority in design. 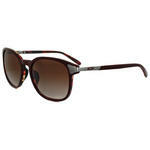 The lightweight frames support cutting edge lenses, which achieve precise clarity and 100% UV, UVA and UVB protection. Their innovative design protects against high velocity and high mass impact, making them the ultimate sports eyewear, worn and loved by top athletes such as Lance Armstrong and Rory Mcllroy. 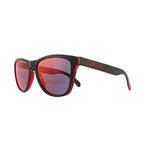 The key to the success of these technically brilliant sunglasses is not just their practicality, but their stunning style. 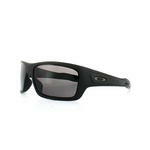 Sporting excellence meets high fashion in these sunglasses, and at Discounted Sunglasses we stock one of the largest collections of cheap Oakley Sunglasses online. One of the most popular Oakley models, the Fuel Cell is a sleek and smooth style designed for men who want to make a bold statement and stand out from the crowd. 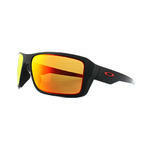 Oakley Fuel Cells have a slightly wrapped design and the O Matter frame is thick, durable and lightweight and is available in an array of colours. 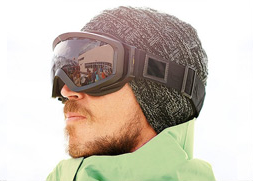 The Oakley Fuel Cell features Oakley’s three point fit which ensures that the lightweight O Matter frame only touches the head in three places, providing comfort all day and holding the lenses in precise optical alignment. 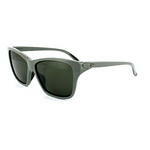 An ultra contemporary streamlined design, the Oakley Fives Squared is perfect for men who struggle to find sunglasses to fit. 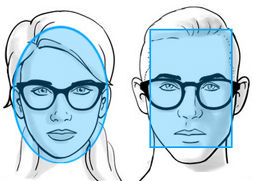 The combination of the lightweight frame and the Three-Point Fit guarantees that these remain comfortable all day and the frame features Condensed Cranial Geometry which avoids the frame sticking out of the temples, remaining secure on a smaller to medium face. 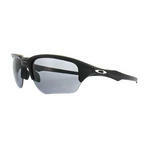 The lenses feature Oakley’s XYZ optics so that vision is sharp at every angle. 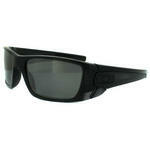 Peripheral vision and side protection against the sun and wind is improved thanks to the curvature of the lens. 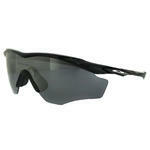 The grip of the Unobtainium nose pads increase with perspiration providing a secure and comfortable fit at all times. FIT Fits a small to medium adult head. Route 66, a great symbol of the US is what influenced the Oakley Holbrook which was named after Holbrook; a small town in Arizona along the historic route. 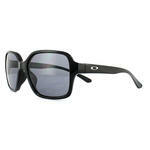 The style was designed for Oakley with the help of snowboarding star Shaun White and his brother Jesse. 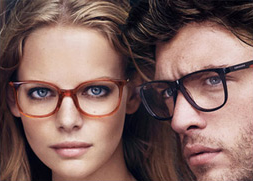 Holbrook’s lightweight, stress resistant O Matter frames are accompanied by High Definition Optics which has superb clarity without distortion. 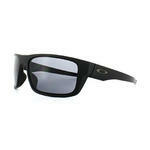 Oakley’s Plutonite lenses block 100% of UV, UVB, UVC and harmful blue light, bringing complete protection and comfort. 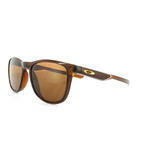 Stand out from the crowd in the highly sought after Oakley Frogskins sunglasses. First created in the 1980s, the Oakley Frogskins have recently been re-launched in usual colour combinations and limited edition versions. With a perfect blend of retro design and Oakley’s advanced technology, the Frogskins feature iridium coated lenses which work to reflect glare and some are also available with polarized lenses that completely block the glare for superior vision and protection against the suns harmful rays. They are a unisex style that is suitable for most face shapes with a thick frame similar to the wayfarer, the vintage logo is placed on the arms and a distinctive keyhole bridge gives the design a retro feel. 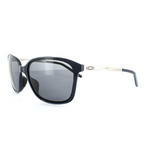 Oakley Frogskins are popular among celebrities and Kanye West, Rita Ora, Rihanna, Zac Efron and Jessica Alba have all been seen wearing these frames recently.